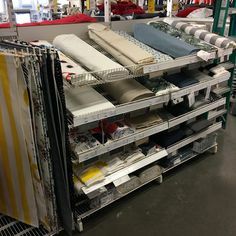 Instructions Are Provided for Four Sizes! 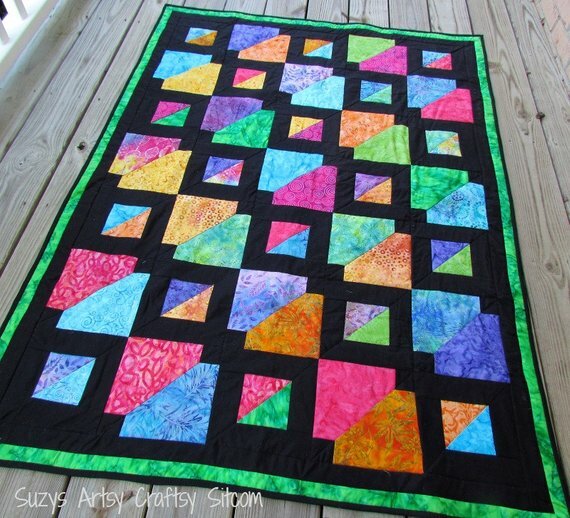 Arrange a collection of brilliant batiks against black for a stunning quilt. 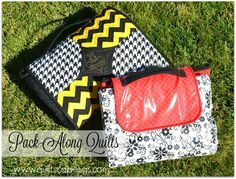 Whatever colors you choose will glow against the background producing a beautiful eye-catching quilt. 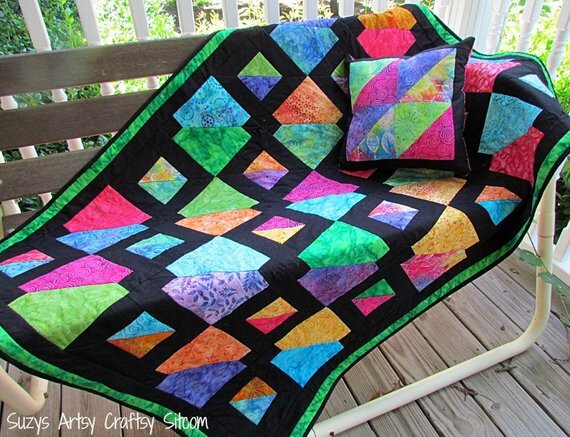 This impressive quilt is an easy one to make, too, even for beginners. It’s all standard piecing with no triangles to cut or sew. 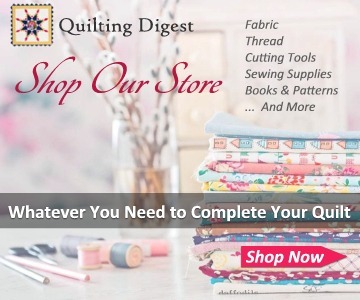 Quilters of all experience levels will enjoy how quickly it goes together. 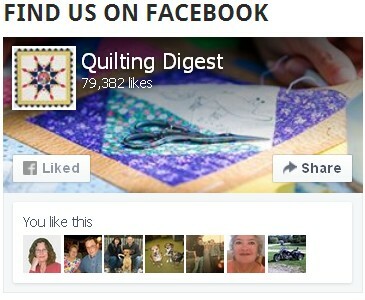 The lap sized quilt shown here, designed by Suzy’s Sitcom, is 43″ x 58″. 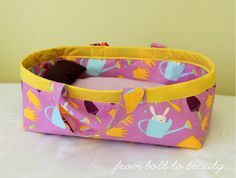 Instructions are also included for a matching pillow and Full, Queen and King size quilts. 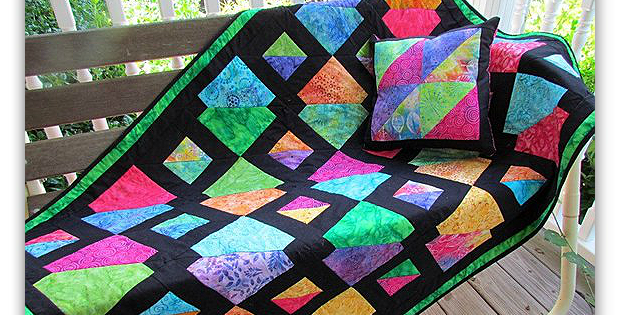 Click here to purchase the “Batiks Gone Wild” quilt pattern.